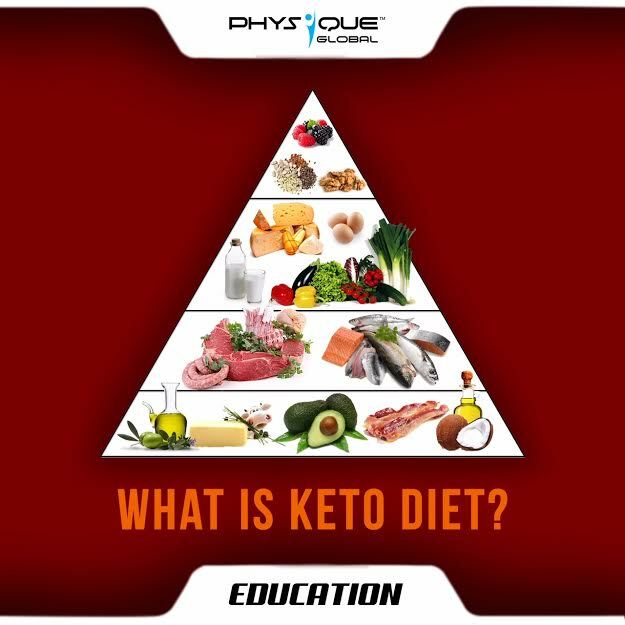 Home · Physique Global Article · What is Keto diet? A ketogenic diet, also commonly known as Keto diet is a super low-carb diet which emphasis on eating healthy fats to reach your daily caloric goal. The diet gets its name from a process called ketosis, which is basically body’s mechanism of burning calories from fat instead of sugar. The Ketogenic diet was originally designed as a treatment for epilepsy (seizure disorder), and nowadays is widely used for weight loss due to its amazing benefits. Let’s now understand this process in a little more detail. So what actually happens is if you eat very low amount of carbohydrates, you starve your brain of glucose, its main fuel source. But your body still needs fuel to function, so it taps into your reserves of ketones, which are compounds the liver creates from fat when blood insulin is low. This process is known as ketosis. Your body produces ketones all the time, but the rate depends on carbohydrate and protein intake. Replacing carbs and proteins with fat will put your body into ketosis, thus increasing the ketone production. An average human takes about 3 days to go into the ketosis state, once all of the carbs are replaced by fats. When you begin any new diet, be sure to consult with your doctor and discuss your medical history before taking up the new eating habits. Also make sure to eat a lot of leafy vegetables which are loaded with fiber and nutrients. This will ensure smooth bowel movements. Instead of thinking about the total carbs content of what you are eating, assess what those carbs provide you. Majority of the carbs from vegetables, nuts and seeds are actually fiber which is absolutely essential for your body.